Interest Rates may be quite low right now but there is still a huge difference between a 3% and 4% mortgage interest rate. Read on to see how a small change in the mortgage interest rate can have a big impact on home buyer's ability to purchase a home. The mortgage interest rate determines the interest you pay on your loan. Your monthly mortgage payment will go toward paying back your loan amount plus the loan's interest. 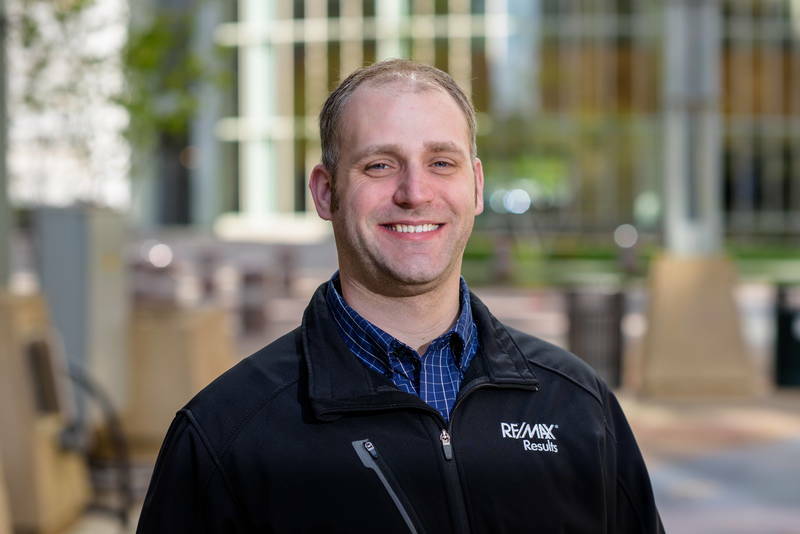 Erik Beach, Senior Residential Real Estate Lender for Bremer Bank, points out that at the beginning of your loan, more of your loan payment will be going to interest rather than paying down the principle balance of your loan. This is because interest is calculated on the total amount you owe on your home. 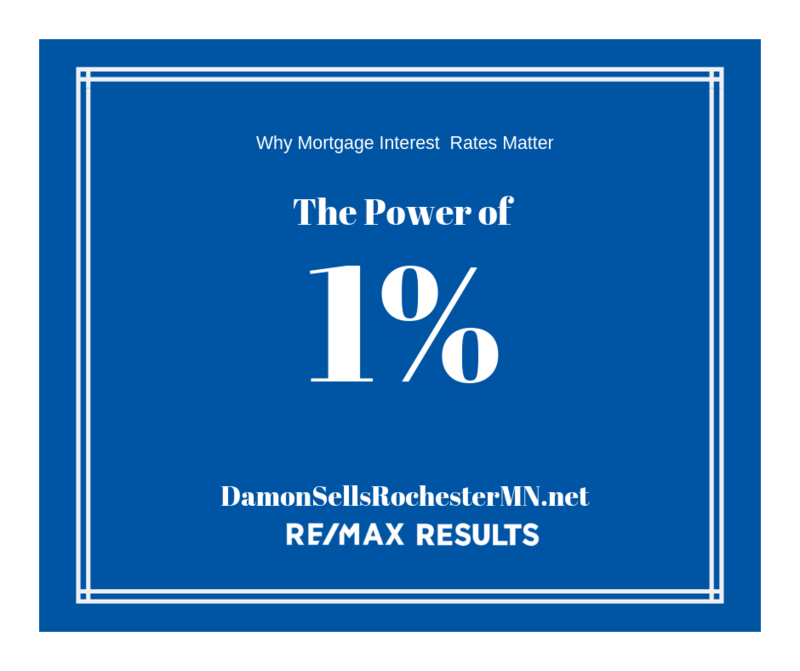 The mortgage rate matters because a one-percentage point difference in mortgage rates translates into at least a 10% difference in the monthly mortgage payment. For example: on a standard 30-year fixed-rate mortgage, the monthly payment on a $300,000 loan would be $1,432 for a 4% mortgage versus $1610 for a 5% mortgage. That’s a monthly difference of $178. Simply put, a lower interest rate gives you options you just don't have at higher interest rates. If you can afford just $1440 per month for a mortgage payment then you could afford the $300,000 loan in the above example. But if the interest rates went up to 5% that same loan is out of your range. Your lower payment allows you to use the $178 difference to save for your retirement or a kid's college education. It allows you to be less stretched financially and helps you weather tough financial times a bit better. To really see the impact of a 1% difference in interest rate take a look at how much interest you will pay over a 5 and 10 year payment history at two different interest rates.A $300,000 loan at 4% interest will cost a total of $57,277 in interest after 5 years compared to $72,114 with a 5% rate. That's a difference of $14,837! After 10 years those numbers jump to $108,221 versus $137,282. Over the life of the loan there is a staggering $64,162 difference in interest paid between a 4% and 5% interest rate. The good news is that interest rates rarely change an entire percentage at one time. If you watch them over time you'll see small, sometimes daily, changes. Interest rates often change by 1/8% or 1/4% but not usually a full 1% at a time. They will usually steadily climb or descend over weeks and there are usually good predictions as to what interest rates will be doing in the future. Interest rates are influenced by many things and each lender can set their own mortgage rates. This is why it is a good idea to compare loans and rates between lenders. The various mortgage companies are usually very close in their rates so they can be competitive. As you interview different mortgage lenders ask them about their different loan products. David Stamness of Think Bank a go-to lender for my clients, advises there are different loan products that offer lower rates. He gives the example of a buyer who knows they will only live in a home for a set period of time. An Adjustable Rate Mortgage (ARM) may give the buyer a lower interest rate while still having a 30 year amortization. This is a great option for buyers who know they will be selling before the interest rate adjusts,such as a medical school resident. The best interest rate a mortgage company offers is reserved for those with excellent credit. As Erik Beach of Bremer Bank points out, a borrower who pays their bills back on time will have a better credit score. Other factors that may influence your rate are the size of your down payment. Erik says, " Simply put, the lower the risk a lender sees in you, the better the rate you get." David Stamness of Think Bank likes to encourage buyers to come in for a brief consultation as soon as you start to think about buying a home. He points out that it is helpful for buyers to start working on things such as their debt-to-income ratio and credit scores sooner than later so they are not delayed when then want to make an offer on a home. I work diligently with my clients to guide you toward a wise home purchase which includes working with experienced and trusted lenders such as David and Erik. We all understand that sometimes, it may be in your best interest (pun intended!) to wait 6 months to improve your credit score so that you qualify for a lower interest rate. I am willing to wait with you! It's all about doing what is best for you, when it is best for you. Selling soon? Click here for a free estimate of your home's value.